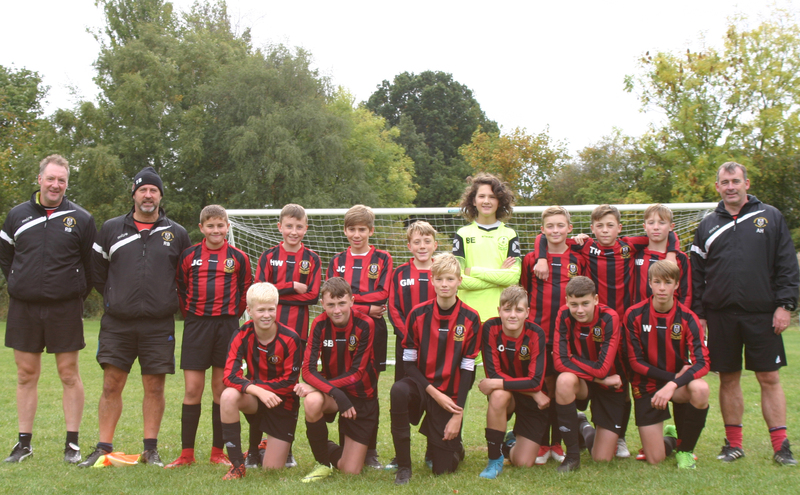 Gomersal & Cleckheaton U14 White 2 vs. 4 Elland Juniors U14 United - 30 September 2018 - Under 14 White - Gomersal & Cleckheaton F.C. Elland Juniors U14 United win - 1 on penalties. Gomersal boys really fought hard and battled. They were more physical as they had asked to be and competed well and took an early lead through Niall after great work from Tim Hill. The visitors got one back from a lapse in marking from a corner. Then they were awarded a doubtful penalty, which Bryn brilliantly saved, only for one of the other team to.follow up and tap in. Heads didn't drop amd we forced an equaliser tap in after some.good play, with Elliot getting the goal. 2nd half we couldn't male a breakthrough and conceded a poor goal.and another that was excellent play from the visitors. Good battling performance and we are getting better and tougher, a victory will not be far away.